I’ve personally had a pair of Fat Gripz in my training bag since 2010. 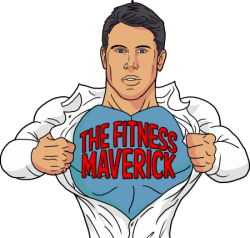 They’ve been thrown on every cable attachment known to man for both my own training and that of my clients and athletes. And guess what, it’s the same pair of indestructible Fat Gripz I still use today as I did in 2010. This article pertains to all fat grip training, not just Fat Gripz. It just so happens I believe that the design of Fat Gripz mean fat grip training is more accessible to the masses training in a commercial gym environment. It therefore makes sense to talk about them more. I’ve had fat grip bars and dumbbells custom made for me at various points, and highly recommend the guys at Watson Gym for some of the best. But with Fat Gripz you can get much of the same benefits at a fraction of the cost and hassle factor. Whist the typical Olympic barbell is no thicker than a broom handle (around 1.1-inch diameter), a fat grip bar is more like holding a can of beer (minus the testosterone supressing side-effects). I recommend around a 2.25-2.5-inch diameter for most, while the Fat Gripz Original (the blue pair as seen below) seem to fit that bill well. Fat Grip and Thick Bar training can make you bigger, stronger, pain-free and a better athlete. Fat grip training provides an additional training stimulus to help you bust through training plateaus. 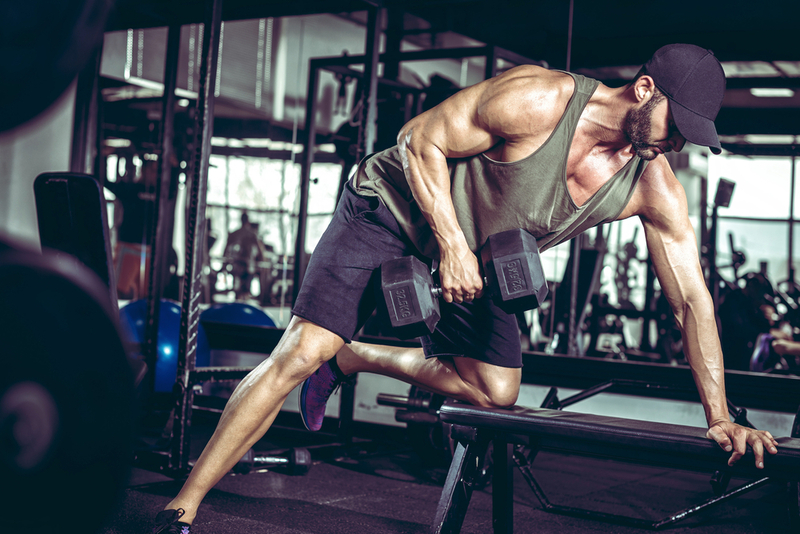 When your upper body size and strength seems to have stalled, implementing some form of fat grip training can help you break through the stagnation and boost your progress. There are multiple reasons for this. Research has shown that using thicker grip implements recruits more motor units, especially in the elbow flexors. This is good news is you’re not just in search for bigger stronger arms, but also the entire upper body. If your arms are a weak point, then the more proximal areas of the upper body won’t be receiving as much stimulation as they should. Ever given up on a set of chin-ups because your arms or grip gave-up first? This leaves the upper back a little short-changed. Fat grip training can turn this weakness in to a strength ensuring a more optimal training approach. 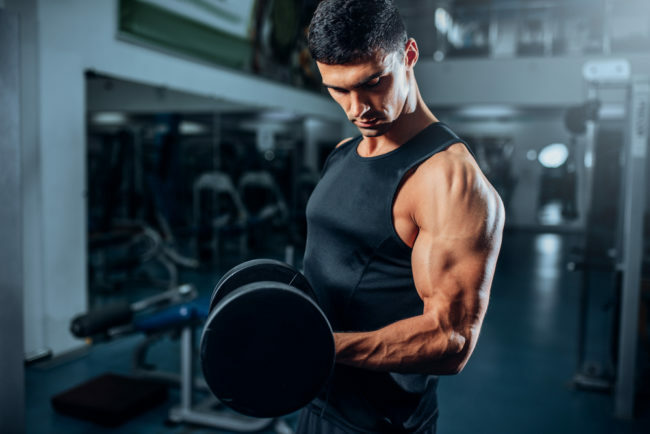 Well-built and defined forearms complete an athletic-looking physique, so if your forearms are less Popeye and more Olive Oyl then fat grip training will help. Due to the increased forearm activation any type of curl variation will become a great forearm builder with the addition of a thicker grip. 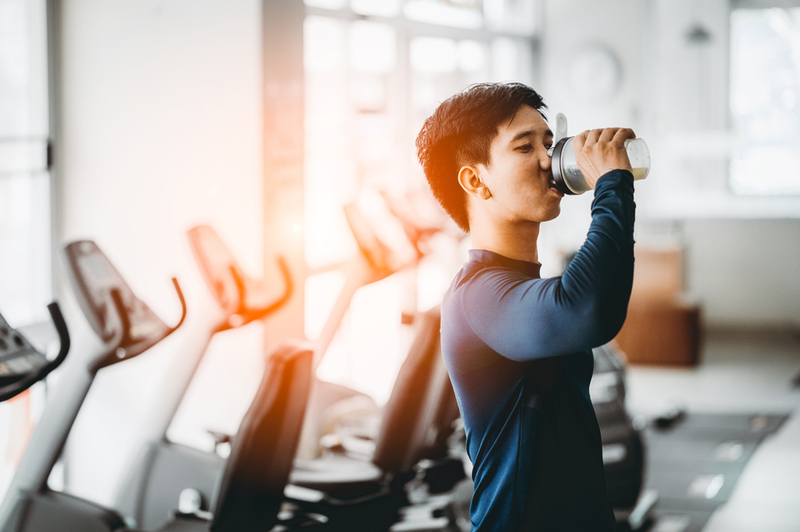 However, what you might not know is that the elbow flexors (biceps, brachialis, brachioradialis) will increase in size and strength too as they work synergistically with the wrist flexors and extensors. Fat grip training is therefore a useful tool for many exercises in your pursuit for upper body strength and size. For more direct arms training Fat Grip Zottman Curls are a good example of a ‘complete’ biceps mass builder. Sure, you can deadlift 200kg comfortably, but does that mean you can throw your opposite number around in a sports arena? You might have reasonable hip strength and grip when it comes to holding a standard size bar, but as soon as the grip becomes more challenging your force production potential drops way down. Consider sports specificity and how your lifting sessions might transfer over to real world and sporting movements. When used correctly fat grip training can help bridge the gap and enhance the transfer. It’s not uncommon for strength to drop by as much as 40% when using thick bar training for the first time. Of course, this isn’t a permanent loss in strength and only a reflection of not being able to handle the extra grip challenge, but a loss in strength either way. The smaller your hands or the worse your grip the more this deficit tends to be. Interestingly a recent study found that using Fat Gripz for Pull-Ups improved pull-up strength, despite it affecting the amount of repetitions that could be completed over the 5-weeks of training. It was concluded that using Fat Gripz allowed for a lower training volume to achieve the same results as a higher volume of training without the use of Fat Gripz (Medina et al. 2017). Fat grip training challenges the grip, particularly targeting the flexor digitorum superficialis which is an important contributor to finger flexion and the power grip position. Although there are different types of grip training (crushing, pinching etc. ), one of the best ways to simultaneously improve whole body strength and grip strength is to employ fat grip training. 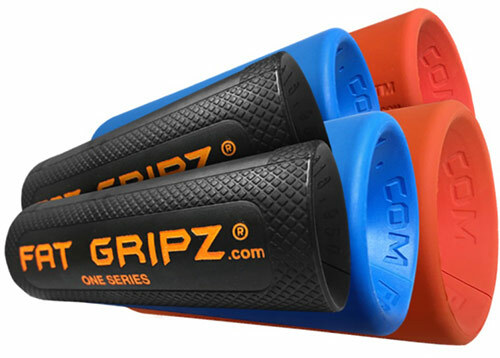 Feel free to use some Captains of Crush Grips, Pinch Plates together, or even some Rice Bucket Drills for hand and wrist strength, but Fat Gripz are a good addition to your sports specific training. Let’s also not forget that a higher grip strength is associated with a longer lifespan and maintenance of functional strength as we get older, so from a health perspective it’s a useful method to employ. Fat grip training used in a variety of ways can improve grip strength and forearm size, but one simple strategy you could use is to simply employ it during your assistance exercises. Face Pulls with Fat Gripz are always a favourite. The evidence for the effects of Fat Grip or Thick Bar training on shoulder health is purely anecdotal. Many who often experience some element of shoulder pain when pressing with a standard barbell seem to not experience the same when using Fat Gripz or a thick barbell. Of course, pay attention to the feedback you’re getting from your body, and if you experience shoulder pain try limiting pressing overhead (or above 90 degrees of shoulder flexion for some). But try experimenting with fat grip training to see if like so many others it improves your ability to press greater loads without pain. We can only guess what might be going on here, possibly some kind of stability increase from the shoulder in response to the thicker grip, or increased activation of the rotator cuff muscles. We can only guess. Although many don’t need to fund a study to know that fat grip training seems to be a little more shoulder friendly. Anything that allows you to avoid pain and potentially limit long term damage, whilst still allowing you to lift a little more progressively is a good thing. Fat grip training can help you build bigger bulletproof shoulders. Not much to say here apart from due to the size of a fat bar, and the thick rubber texture of a pair of Fat Gripz, many exercises feel more comfortable to perform. If an exercise feels better, you’re more likely to look forward to your training, motivation will be higher, and you’ll progress faster. Dipping bars are often a little uncomfortable on the hands, so some thicker grips are a great addition. Drop-sets are an excellent intensity technique when you’re looking to add some planned volume in to your workouts. I came up with these many years ago, and simply called them ‘Fat Grip Drops’. These work with quite a few exercises, especially ones where the strength deficit between using a fat grip versus a standard bar is large. Start with the Thick Gripz on your barbell or dumbbells and perform reps just short of failure. Then take the grips off and continue the set. See the below video for an example of this technique on a set of preacher curls.